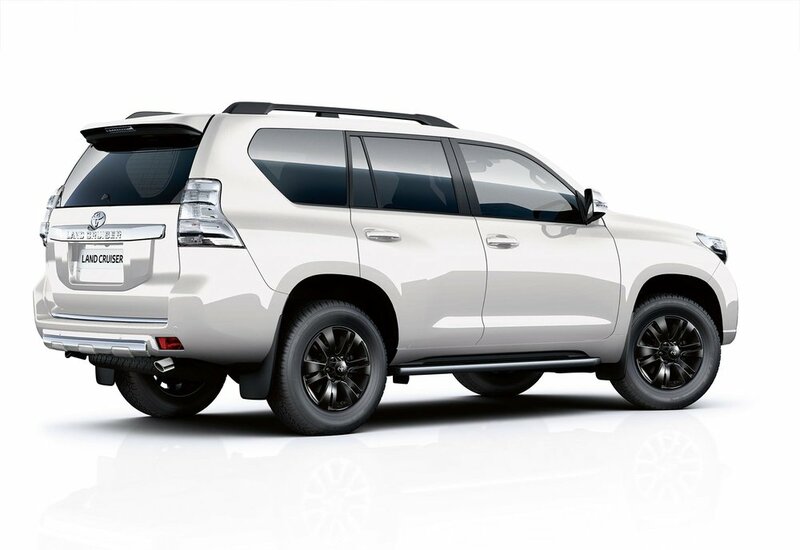 Fresh for 2017, a new ‘Invincible X’ grade model has been added to Toyota’s Land Cruiser range. Combining the model’s all-road capabilities with extra styling features, the new flagship features a top-of-the-range specification. Focusing on the exterior, the Invincible X adds chrome door mirror casings, exhaust tailpipe finisher and rear trim details, together with contrasting black 18-inch Pinnacle alloy wheels. On the inside, the cabin receives a full leather upholstery, available in Masari Black, Ortaka Ivory or a two-tone black and brown combination. Equipment features include a Blu-Ray and gaming rear-seat entertainment system, triple-zone air conditioning, surround sound premium audio, sunroof and the Toyota Touch 2 with Go multimedia and navigation system. Toyota Safety Sense active safety features are fitted as standard providing Pre-Collision System, Adaptive Cruise Control and Lane Keep Assist. Rear Cross Traffic Alert and a Blind Spot Monitor are also included in the specification. The Land Cruiser has a ground clearance of 215mm which aids the approach/ramp/departure angles for off-roading, and ‘advanced’ technologies ensure safe and stable handling, even on extreme terrain. It will wade through water up to 700mm deep and traverse or climb slopes up to 42-degrees. It is also equipped with an electrically modulated Kinetic Dynamic Suspension System, which optimises anti-roll bar performance to suit both on and off-road conditions, suppressing body roll and improving steering response. Its Multi-terrain ABS has been tuned for operation on rough, off-road surfaces, while Multi-terrain Select allows the driver to select from four different modes which automatically modify acceleration, braking and traction control to suit driving conditions – Mud and Sand, Loose Rock, Mogul and Rock. Crawl Control – also standard – ensures challenging off-road climbs and descents can be tackled at “walking pace”; it can also be used to help free the vehicle should when there is a risk of becoming bogged down. The Land Cruiser Invincible X is a five-door model powered by a 2.8-litre D-4D turbodiesel engine, mated to a six-speed automatic transmission. On sale now, it’s priced at £57,880 OTR.